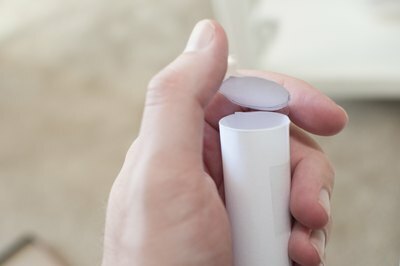 Knowing that a cylinder is a three-dimensional geometric figure with same-sized, parallel bases might not be necessary in your day-to-day life. However, when attempting to create this shape from a sheet of paper, the aforementioned characteristics are vitally important. 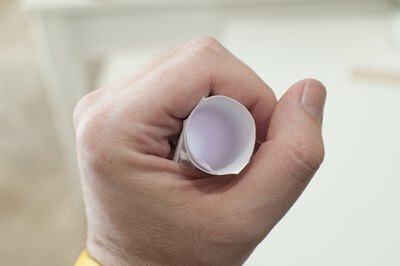 Despite the tricky composition, cylinders are relatively easy to create -- oftentimes the hardest part of the process is deciding the size of the cylinder and the color of your paper. Determine the height you want for your cylinder. 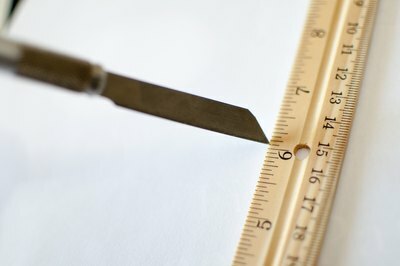 Measure the paper and cut it to the desired dimension, as needed. 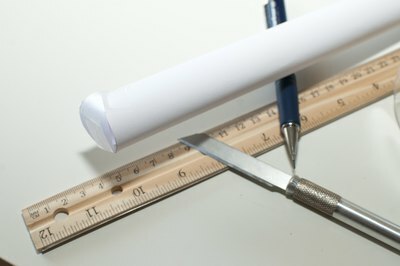 For example, cut your paper so two sides are 6 inches long for a 6-inch cylinder. 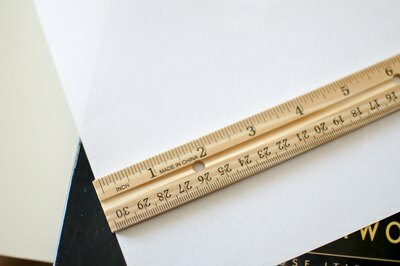 If you want a 12-inch or a 9-inch tall construction, you won’t have to modify a standard-sized sheet of craft paper. Place small tabs of tape on one end of the paper, with the sticky side facing up. The tape goes on the sides perpendicular to those you measured for the height. 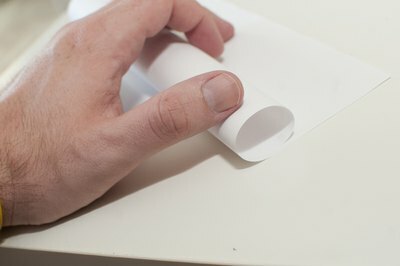 Roll the paper until the cylinder is the desired diameter. Press the tape tabs to the roll. 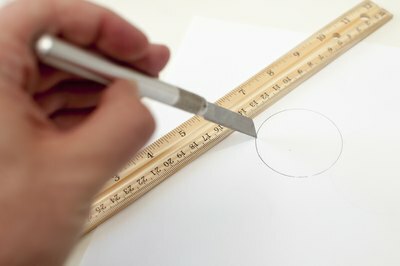 Cut two circles with the same diameter as the cylinder. Fold 1-inch tape tabs in half. Place them inside the open cylinder, with the fold on the paper edge and the extra part of the tab facing the inside of the cylinder. Press one of the circles onto the tape tabs. Repeat at the other end of the cylinder.